A high performance oil that nourishes and protects in one application. It is water repellent to prevent splitting & cracking, with added UV stabilisers that resist fading and flaking. Approx. coverage 6-8m2 per litre. 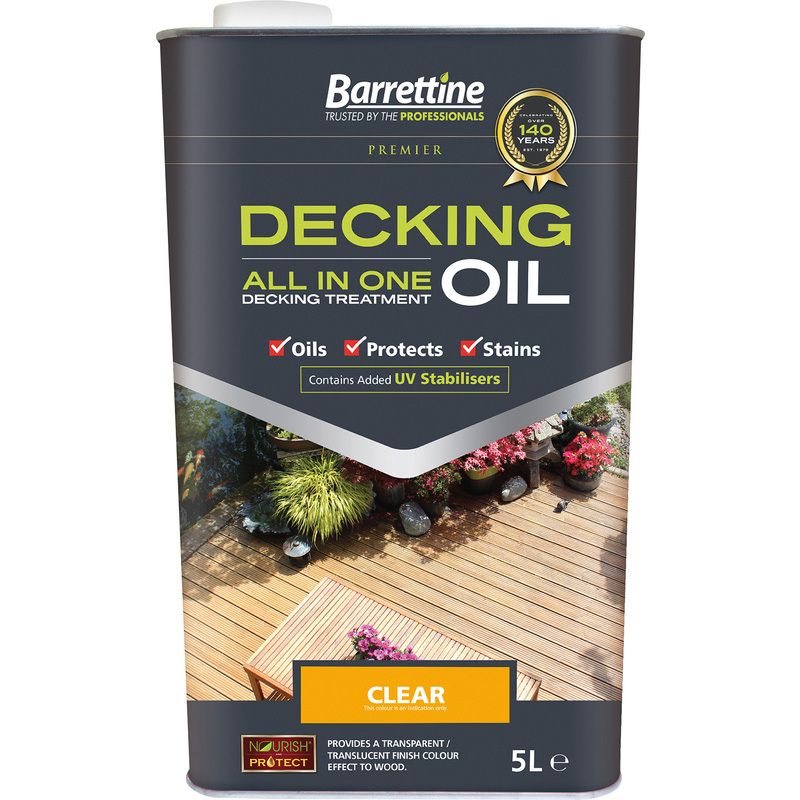 Barrettine All In One Decking Oil Treatment Clear 5L is rated 4.7 out of 5 by 157. Rated 4 out of 5 by Mick25 from Excellent Good cover. Low odour. Will use again. Rated 5 out of 5 by LuneWalker from Barrettine decking oil is kind to pets/plants. Needed to treat sun bleached decking this year and have to consider pets/plants. This particular product is pet/plant friendly. The finish/protection lasts a long time so we don't have to treat decking year on year.